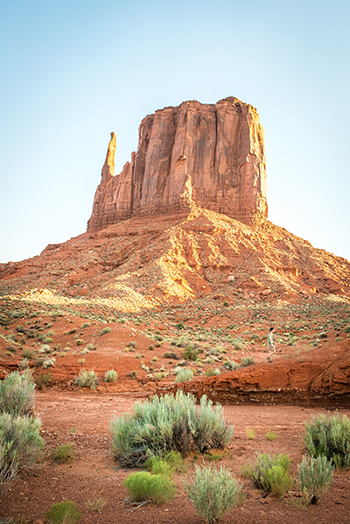 The main reason for a visit to Monument Valley is of course a view on the world famous table mountains, the West and East Mitten Buttes and Merrick Butte. 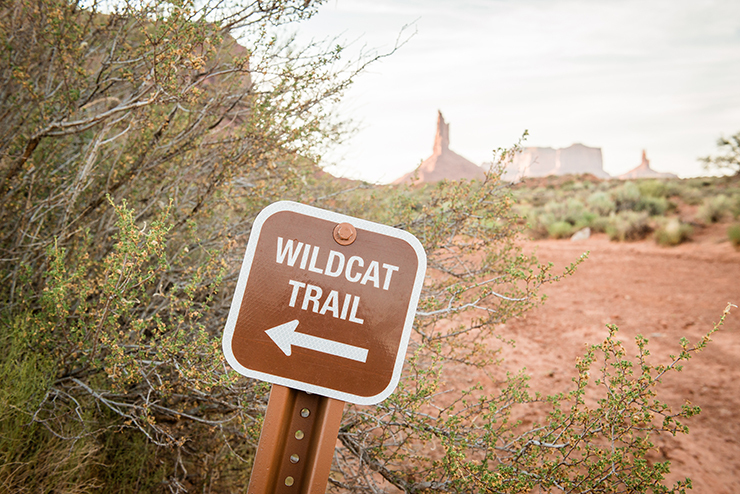 Although not widely known, the best way to admire these iconic rock formations is the Wildcat Trail. 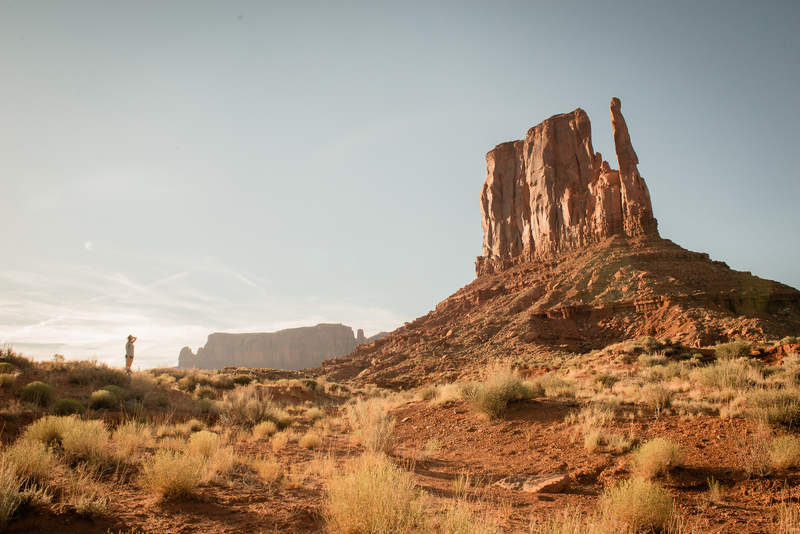 Through this relatively short and easy walk around the West Mitten Butte, you get to see the three wondrous buttes from all perspectives and in close-up. From their side, they expose their true nature: you’ll be amazed how thin these mystical natural sculptures actually are! Apart from a few wild horses, you probably won’t see anyone on the trail. Enjoy the ultimate tranquility in a world class scenery. The perfect Wild West, as exciting as pictured in your childhood dreams. Nice bonus: this is the only self-guided hiking trail in Monument Valley, so no authorized Navajo guide needed. The trail starts near the unique (and highly recommended!) camping The View and is well marked. Start this unique and scenic walk in the late afternoon. 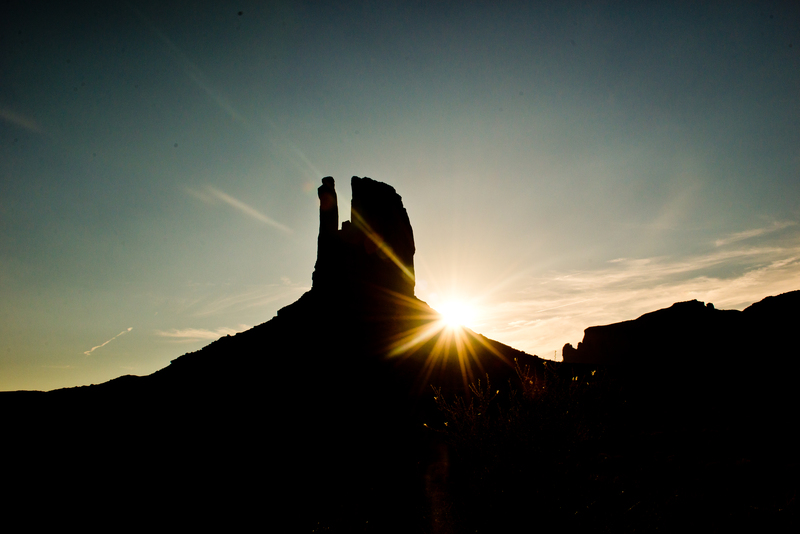 The sunbeams, flirting with the contour of the West Mitten Butte, will instantly give you goosebumps. Furthermore, you’ll avoid the hottest midday sun as the trail is fully exposed. 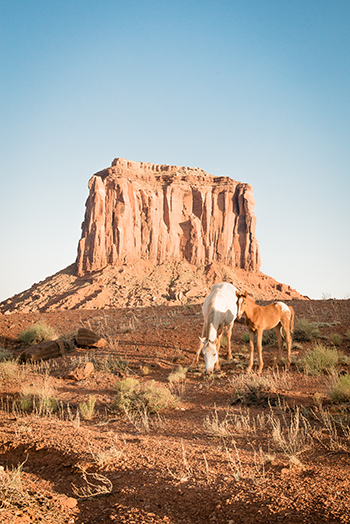 What was your best experience in Monument Valley? Please share below! How to plan 3 days Yosemite National Park?